Most of our older dancers (and some of our teachers, too!) are proud to say they “grew up” at Sharon Davis School of Dance, starting their dance training at the age of 3 in our very popular KinderKapers class. Now, we are thrilled to announce that we are offering a new class that will allow even younger dancers to join our family! Our new Mommy and Me class is the perfect introduction for young artists to the world of dance, and is now open for registration. 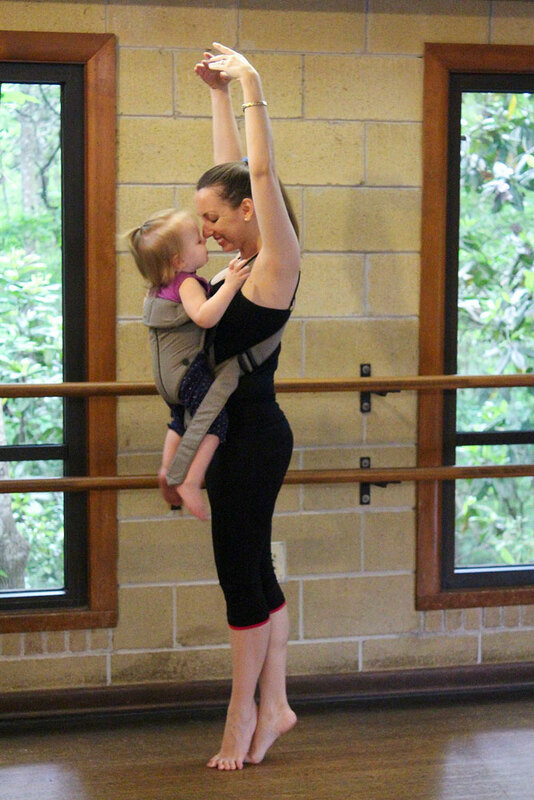 Started this past summer and continuing on into the fall and spring, this fun class encourages movement, musicality, and mommy/dancer bonding. Mommies and dancers (ages 18 months – 2 years) learn and play together as they move to the music, practice beginning ballet technique, and participate in fun games that promote the development of both gross and fine motor skills, musicality, rhythm recognition, language and number acquisition, and creativity, all at a developmentally appropriate level for the age group. This is a wonderful opportunity to bond with your tiny dancer and instill a lifelong love of the arts from an early age. Come and dance with us! I would love some more information about the mommy and me classes. My one year old loves to dance and I think this would be fun for both of us once she hits 18 months. Our new Mommy and Me class is for ages 18 months to two years and currently meets on Monday mornings from 10:00 – 11:00 AM. Pricing information can be found on our Tuition page here. We look forward to having you join us!